“Normality is a paved road; it’s comfortable to walk, but no flowers grow." Kristin Rowan embraces the power of words. An avid reader and self-proclaimed book nerd, she takes to heart the power of communication as a building block for meaningful connections. 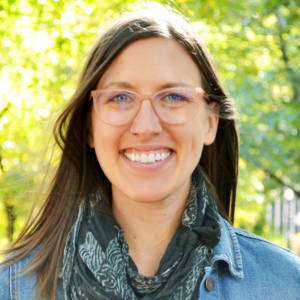 Whether poring over poetry or devouring nonfiction, Kristin is diligent about gathering the multiple perspectives necessary for deciphering and articulating tight twists of plot to interpret and facilitate meaningful resolutions. An inquisitive and adaptive leader, Kristin is especially adept at guiding teams through ambiguity, cultivating trust, and caring for details. Her life chapters span subject matter, from scrappy start-up leader to diligent transition manager, with previous roles in project delivery, account development, and agile product management at Generation Tux, Indatus, and Paycor. Kristin holds a bachelor’s degree in English Literature from the University of Tampa.